Honey & Butter: $50 AMEX CARD Giveaway Sponsored by FUZE! 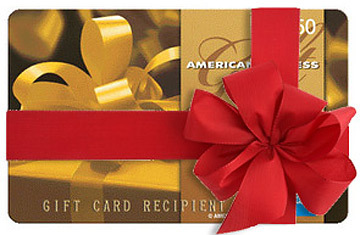 $50 AMEX CARD Giveaway Sponsored by FUZE! Simply comment on this post with your name/email. We will announce the winner on Friday, November 9th, 2012! FUZE is a great-tasting line of teas and juice drinks that feature a refreshing blend of natural flavors. My favorite flavor was the Berry Punch, because I am a 'punch' fan in general. The taste was classic punch flavor, and would make a great classic punch bowl for a party. The beverages are available in 1-liter bottles and affordably priced at $.99 each at participating retailers. The launch will also include a full offering of fountain and bottle/can package options available by the end of the year. The new FUZE products are available at convenience stores nationwide. Find additional information about the new FUZE beverages at their official FUZE facebook page and don't forget to follow them on twitter! and the winner is.... Kristin Berry! *Vitamins B6 and B12 represent 10 percent of the daily value per 8 fl oz serving for juice drinks and 10 percent of the daily value per 12 fl oz serving for teas. I received product and compensation from The Coca-Cola Company in the form of a gift card to participate in this campaign promoting the new line of FUZE beverages. love you guys. Been following on facebook & pinterest already! I follow on pinterest and am a fan on facebook. Lemon Iced Tea sounds great to try. The lemon iced tea looks great! I've never tried Fuze before. I like you on Facebook as Mary Happymommy. I love your site. Use it all the time!! Love your blog :) So much fun. I drink it once in a while. I follow you on pinterest as mom22girlzz. I "like" your FB page. Facebook fan as Shannon FIner and pinterest follower as CHannynn. What an awesome giveaway! 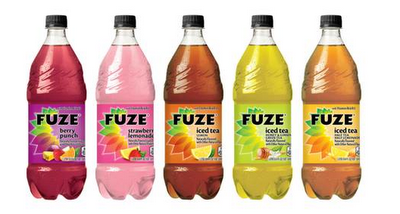 I love the original Fuze flavors but haven't tried new ones yet. I Like you on facebook as June Lisle.